Birth injuries are any injuries that a newborn baby suffers during the birthing process. They are most often observed in cases where the newborn is particularly large or delivery was difficult. Fortunately, birth injuries are quite rare compared to only a few decades ago, and most have a very positive prognosis. However, serious birth injuries do still occur, and their consequences can be severe. Bone injuries: Although broken bones are rare, difficult deliveries can result in fractures and broken bones. Fractures of the collarbone, upper arm, and upper leg are the most common injuries of this type. Bleeding in the brain: Also known as “intracranial hemorrhage,” bleeding in the brain is caused by the rupture of a blood vessel in the skull. Bleeding in the spaces around the brain results from deformity of the skull during delivery, and is much more common in premature babies. Symptoms of bleeding of the brain include sluggishness, poor feeding, and seizures. Nerve Injuries: Nerve injuries have several causes, including from pressure on the facial nerve by forceps, by the fetus’ head lying against the mother’s pelvis, or by the delivery of a large infant, which can cause the nerves in the baby’s arms to be stretched and injured. Facial nerve injuries can result in weakness of the face, while nerve injuries to the arms may require surgery to reattach the torn nerves. Perinatal asphyxia: Perinatal asphyxia means that there has been an injury to the fetus or the newborn around the time of birth. It occurs when too little blood flows to the baby’s tissues or when there is too little oxygen in the blood. It can be caused by many factors, including abnormal development of the fetus, infection, exposure to certain drugs before birth, or an umbilical cord blood clot. 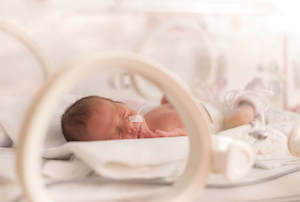 The prognosis for birth injuries varies according to the type of injury that the baby suffers, but most birth injuries are fairly minor and often heal on their own within a few weeks of delivery. Brain damage tends to be the most serious type of birth injury, although its prognosis can vary. Mild or moderate brain damage may cause only mild developmental delays, while more serious brain damage can result in cerebral palsy, seizure disorders, and impaired fine motor skills. Mild or moderate nerve damage also usually heals on its own or with physical therapy, often with no long-term effects, while more severe nerve damage can result in Erb’s palsy. Small skull fractures will usually heal on their own as well, while more serious skull fractures can cause hematoma or hemorrhages in the brain, which can lead to brain damage or death if not treated surgically. If your newborn was injured during birth, it may have been the result of medical malpractice. Contact the attorneys at Slappey & Sadd for a free consultation to discuss your case by calling 404.255.6677 or by emailing us through our online contact form. We serve the entire state of Georgia, including the following locations: Columbus, Fort Benning, Covington, Rossville, Loganville, Lagrange, and Dalton.